Nothing beats the pleasure of running. Unfortunately, many runners are slowed down by injuries that could be avoided through changes in training or technique. 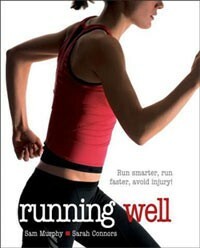 And if you do get injured, Running Well will return you to action quickly. Sections devoted to each bodily region detail common symptoms and causes of discomfort. You’ll learn how to treat the injury, know when to seek help, and know how to prevent the problem from reoccurring. From avoiding overtraining to increasing flexibility, Running Well has everything you need to keep you running all year round so that you sprint—not limp—to the all-important finish line.